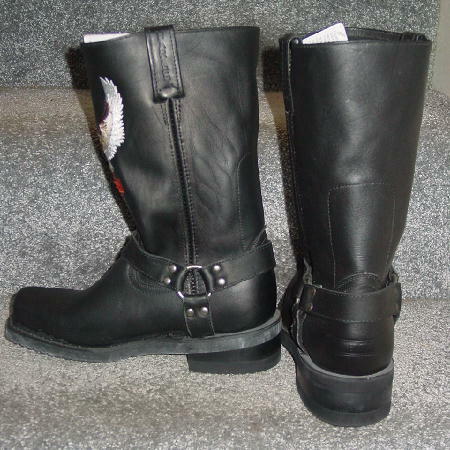 These never-worn black Harley-Davidson Harness boots (style 81002 S) have a rubber outer sole and heel with Harley-Davidson on them. 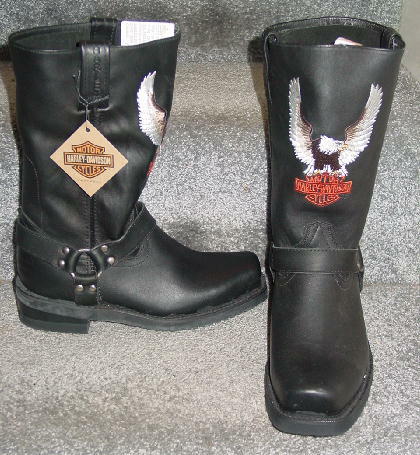 The fronts have the Harley-Davidson Motor Cycles shield logo in embroidered orange stitching below an eagle in browns, white, black, and maize embroidered stitching. 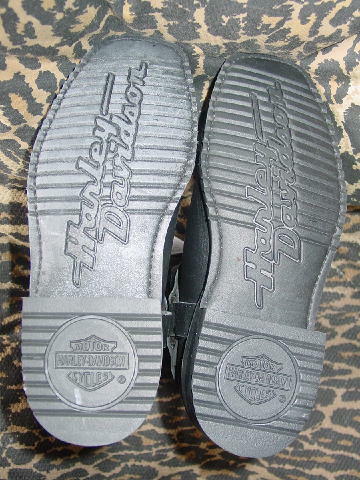 The pull straps have Harley etched on one side and Davidson on the other. The harness straps are attached by silver-tone rings and rivets. A Los Angeles model got them as a birthday present. She didn't want to hurt her then-boyfriend's feelings by returning them. She wears a size 8 1/2. bottom of heel to top of boot 11 7/8"